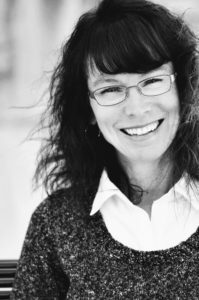 Jody Jensen Shaffer is an award-winning poet and the author of more than 35 books of fiction and nonfiction for children, including PRUDENCE THE PART-TIME COW (2017 National Book Festival pick, 2018-2019 Mesquite (TX) ISD Mockingbird Award finalist, 2019-2020 Show Me Award finalist), A CHIP OFF THE OLD BLOCK, IT’S YOUR FIRST DAY OF SCHOOL, BUSY BUS!, IT’S A FIELD TRIP, BUSY BUS!, and more. Jody’s poetry has been published in magazines like Highlights, Ladybug, and Clubhouse Jr. Jody lives with her family in Liberty, Missouri, and is a member of the Society for Children’s Book Writers and Illustrators. When she’s not writing, Jody can be found watching baseball or walking her rescue dog, Sophie. Visit Jody at jodyjensenshaffer.com or on Twitter @jodywrites4kids. I grew up the youngest of three kids in a northern Missouri college town, where my dad taught anatomy and physiology and my mom taught at the local elementary school. I earned my Bachelor’s in English from William Jewell College and my Master’s in English from Truman State University. After 12 years in the business world, I left to raise my children, and that’s when I fell in love with children’s literature. 1. I am endlessly fascinated by the natural world. 2. I try to walk for exercise most days. 3. I like dogs. A lot. 4. I am a member of two long-term writing groups. We give one another feedback about our stories. 5. I prefer a hoodie over a sweater, tennis shoes over heels. 6. The one food I can’t live without is peanut butter. 7. I love laughing and funny people and things. 8. I can sing the names of the 50 states in alphabetical order. I can sing the preamble to the constitution. 9. I remember the exact moment I learned how to read. 10. I loved being a kid.